Whenever I am outside for any length of time, I always have a hat on. My pale skin suffers, especially during long days at Walt Disney World, so I love a good hat. 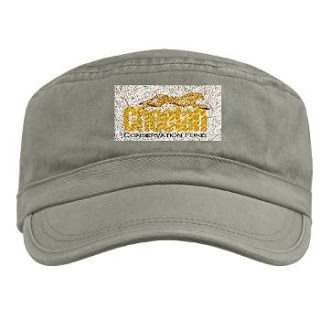 So, how about this great military style cap from the Cheetah Conservation Fund? This one works on many levels. It has a cool look plus it has the fantastic CCF logo. A good vest is also perfect for the outdoors. It works great in cold layering situations, so everyone from hikers to boaters would appreciate it. 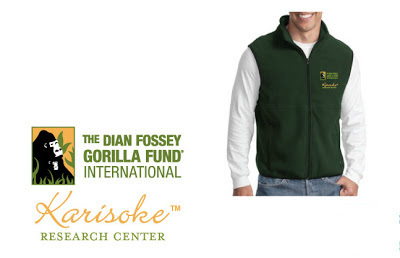 The Dian Fossey Gorilla Fund offers this gorgeous green fleece vest. It comes in Men’s and Women’s sizes and run a very reasonable $50. Finally, if you have a serious outdoors friend, and I mean serious, Save the Rhino has a High Visibility vest available. If you know a cyclist, runner, hiker, or even someone who likes to take long walks with their dog, this is the perfect gift. It keeps you safe and has that great logo you will be proud to wear.